Main Point: I can put others first by giving what I have. The Finders are back in action. Charlie has gone from the quiet and reserved genius behind The Finders to somewhat of an international super-genius. 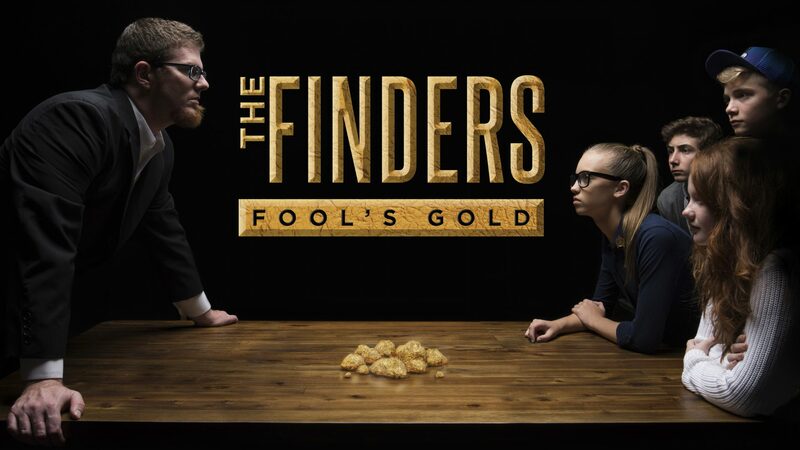 Check it out in episode five of The Finders: Fool’s Gold! Charlie’s fame has caused some prideful behavior and Hannah seems worried about it. Throughout the Bible, we are warned about pride and encouraged to pursue Godly humility. Our Scripture passage this week talks about one way to show humility – by giving what we have. There’s a certain pride that comes from keeping things to ourselves, but when we have something (whether that’s material items or things like encouragement, prayer, etc), we should put others first by giving. Talk with your family this week about what things you have that you could bless others with and put steps in place to make sure you take those actions. And come back next week to find out more about Finders headquarters and see what happens next in Fool’s Gold!